Take a minute… only a minute. Watch this short video that really captures the bike ride I participated in this past weekend. At the 37 second mark you can see the smiles on all of our faces. Every once in a while I catch myself living in pure joy. That state is impossible to maintain, but I promise you that if you spend time with individuals that inspire, overcome & live beyond themselves, you will feel it. Life isn’t about you or me. It’s about us. I’m beyond happy to be part of the World T.E.A.M. Sports family. It’s life changing! Face of America Highlights 01:00 from Parts and Labour on Vimeo. 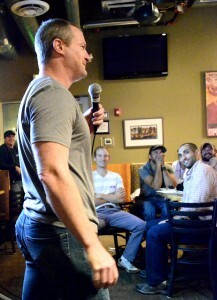 Arlington, Virginia, February 23, 2016 – Navy veteran and comedian PJ Walsh competed last September in national non-profit World T.E.A.M. Sports’ Adventure Team Challenge, an inspirational team event in Colorado’s remote Gore Range with disabled and able-bodied athletes. 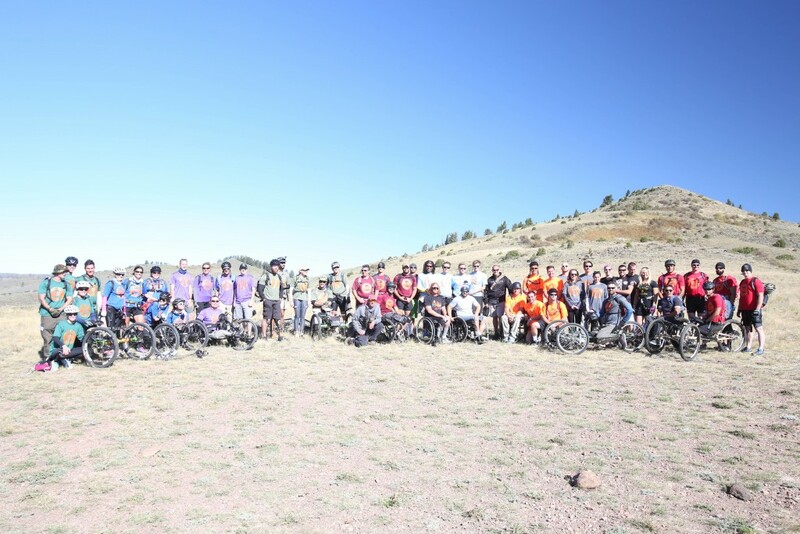 This April 22-24, Walsh will ride 110 miles over two days in the organization’s annual Face of America bicycle and hand cycle ride honoring injured military veterans. He’ll also provide the keynote talk at the event’s kick-off banquet in Arlington. “I’ve never ridden a long ride before, so I want to push myself to be in the best shape I can be in,” said Walsh. A frequent runner who works out at his local gym most days, Walsh notes he is increasing his cycling to be prepared for his long days of riding. A contender at last summer’s American Ninja Warrior competition on NBC Television, Walsh exited early from the military competition after being hit by a rolling log. Even with his early departure, Walsh had the opportunity to talk on national television about veterans and their sacrifices, a cause that remains close to his heart for the last decade. 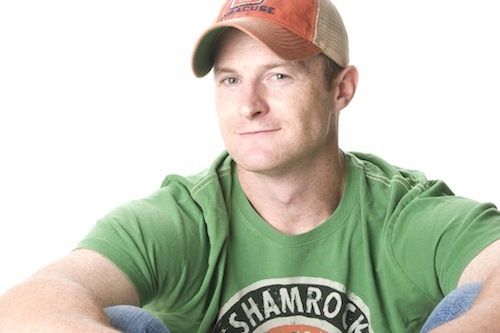 A frequent entertainer for military troops overseas, Walsh is one of a small number of comedians who take time to entertain active duty military members, much like entertainer Bob Hope did in his decades of overseas tours a generation ago. 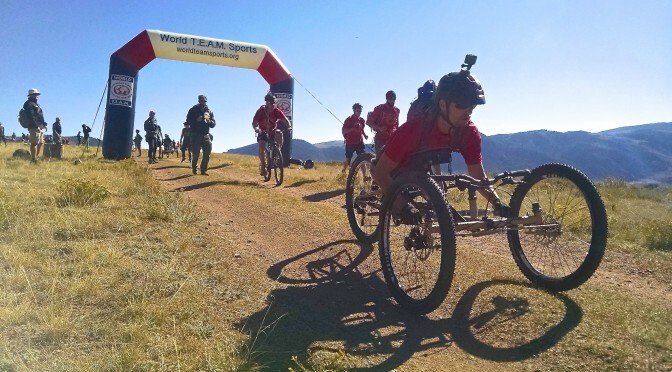 With more than 600 participants anticipated in this year’s Face of America ride, including 160 injured military veterans from all service branches, the 44-year-old Walsh is planning to entertain at his keynote talk, but also offer an understanding of the challenges veterans face today. PJ Walsh, left, and World T.E.A.M. 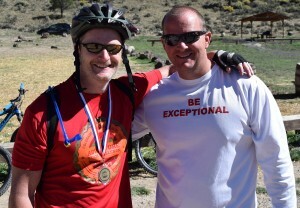 Sports CEO and Chairman Van Brinson, right, at the 2015 Adventure Team Challenge Colorado. Photograph by Sarah Bell. 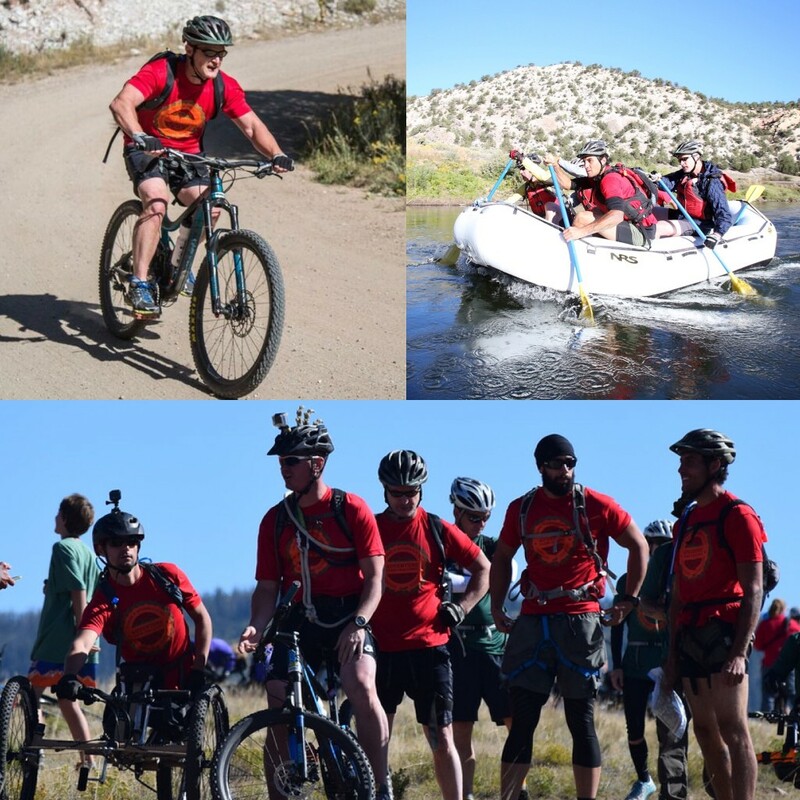 Walsh’s experience in the Adventure Team Challenge helped him become more appreciative of veterans and their unique skills that can benefit the nation. Presented by Capital One Bank, Face of America is supported through sponsorship from American Portfolios Financial Services, Booz Allen Hamilton, Benson Botsford LLC, Brioni, Devens Recycling Center, Freshbikes, Penske Truck Rental, Sila Solutions Group, SUBWAY of the Walter Reed National Military Medical Center, Three Wire Systems, Vedder Price, and Veterans Corps of America. Additional sponsorship support is forthcoming. 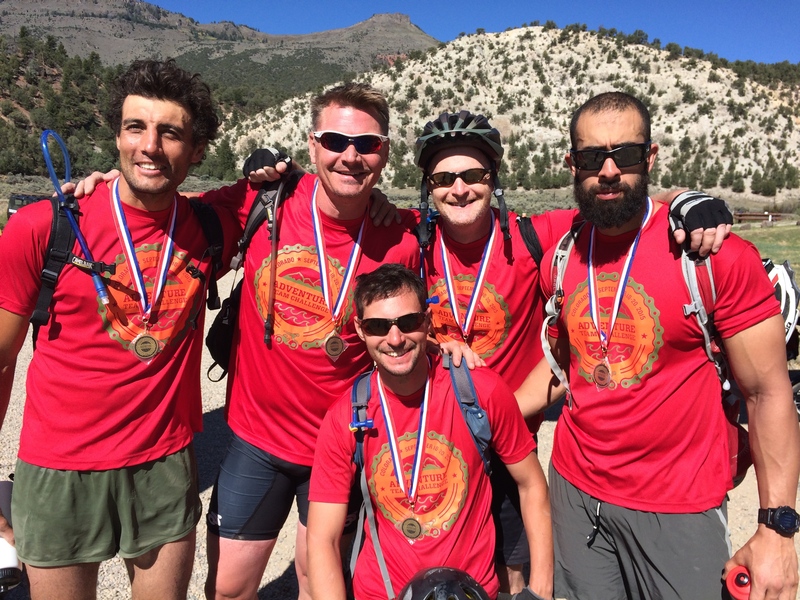 Listen to PJ Walsh and Van Brinson talk about Face of America and the Adventure Team Challenge on the February 5, 2016 Kim Power Stilson Show on SiriusXM’s BYUradio. 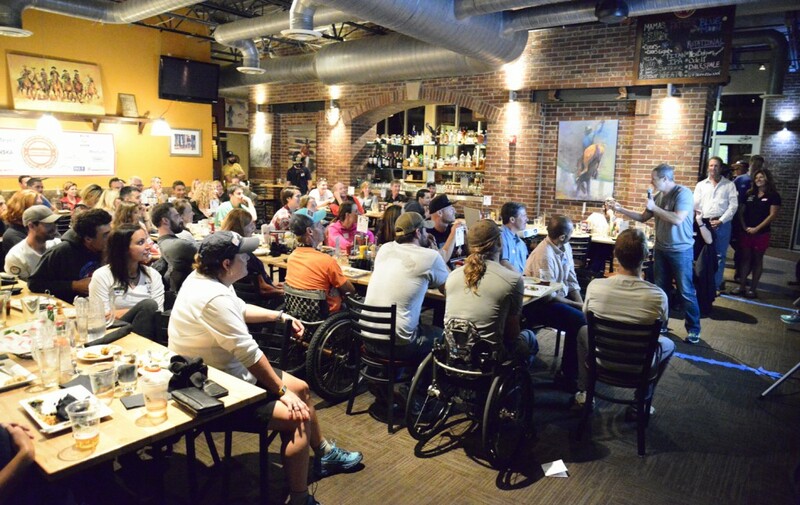 PJ Walsh entertains in Eagle, Colorado at the 2015 Adventure Team Challenge from World T.E.A.M. Sports. Photograph by Brian Gliba. World T.E.A.M. Sports is a 501(c)(3) not-for-profit organization chartered in North Carolina and headquartered in Holbrook, New York. Since its founding in 1993, World T.E.A.M. Sports has organized athletic events for disabled and able bodied citizens — mountain climbing, white water rafting, biking, and more. Four things always happen at our events: (1) Disabled participants build self-confidence and physical fitness; (2) The disabled provide a role model for other disabled citizens, encouraging them to take up physical activities; (3) The disabled become a moving inspiration to other participants and to spectators when they see that disabled individuals can meet challenges beyond anyone’s imagination; and (4) The disabled and able-bodied participants learn to work as a team to overcome those challenges. World T.E.A.M. Sports changes lives through sports. A couple weeks ago, I was part of my very first adventure race. Running, hiking, mountain biking, white water rafting, climbing, zip lining, rappelling… well, you pretty much name it and it was along the way. Even slingshots and blow darts! Saturday, we started our journey by traveling 22 miles. Sunday morning, we added another 6 miles. What was amazing about this weekend was not the physical journey, for me, it was the incredible personal shift. As physically demanding as the racecourse was, it paled in comparison to the impact my fellow racers have left on me. Here is the simple truth: I really cannot put into words this experience. I will be here for days writing and never do it justice. There are few things in this world that bring that feeling of change, appreciation, wonder and lifetime linger. If I live another 40 years, there will be no doubt I will speak about, share and reference Adventure TEAM Challenge often. My life has always been about chasing moments. My life is moved by tangible experience, something I can feel with every sense this body can provide me. That is how I remember, how I change for the better, and how I can share a story, lesson or joke. I have to really feel it. I spent the weekend camping right next to the Colorado River. During the day I could feel the sun beat down on my back and at night I would shiver, staring at every star so prominent in the cold sky. Surrounded by mountains and the freshest air I’ve felt in ages, the setting was spectacular. There were ten teams made up of 5 individuals: three able bodied and two disabled, one being in a wheelchair. Disabled is a word that should be removed from the description of the event. These athletes came from all corners of the country with so many different compelling stories, but the one quality everyone had is being able. It was their “disabled” teammates who had the biggest impact on the able-bodied participants and volunteers. I haven’t spent a lot of time with those who would be considered disabled, but after this weekend, I won’t be able to view the power of the human sprit the same. As exhausted, beaten and cut up as my body was, my mind and heart were being bombarded with inspiration, laughter and new friendships. My team was made up of four Marines and me. When we were introduced, they said we were all wounded. Pointing at each individually… shot… shot… blown up… then at me… I uttered… emotionally. Solid laugh. I come across people who pretend to be more than the sum of what they are. I live and work in show business so it’s almost a prerequisite. I’m horrible at networking because I hate surface talk. There was no surface talk. These men know exactly who they are, what happened to them, and make no qualms about it. The tip of their pinky finger has been through more fight, pain and recovery than most anyone I know. I often say I get to walk in the shadow of heroes. This weekend I got to team up with them, sweat, bleed, freeze, laugh, eat, sleep, and mostly listen. Be it the oath I made in my youth or the fact that it’s just where I feel most comfortable, I seem to always gravitate towards people who were in the military. People came from all sorts of backgrounds and lifestyles for this weekend, which was so much more than that. There were no cell phones, Internet or distractions of any kind, just the challenge, the stories, and the individuals fully living a life bigger than themselves. The real stars of the weekend were on the ground. It was the great people that put so much work into making something like Adventure Team Challenge happen and setting up this experience full of moments that change your life forever. Man, I got extremely lucky to be part of this!